ECOTECH is an Australian owned company with over 40 years’ experience providing the world with environmental monitoring instruments and services. ECOTECH provides comprehensive solutions for your pollution monitoring needs, specialising in ambient air, emissions, dust, process gas, water and blast monitoring solutions. Control of fugitive dust in the mining industry and in particular open cut operations is of great concern to the local community, environmental protection authorities and of course the mine operators. Dust emissions can be a nusiance as as well as damaging to health, so mines typically employ multiple dust suppression systems to minimise their environmental impact. Many of these activities can be expensive to operate and, depending on environmental conditions at the time, may not actually be effective or necessary. ECOTECH has over 40 years’ experience working with the mining industry and has implemented a variety of solutions to monitor dust and gas emission in ambient and source applications. ECOTECH can provide the total monitoring package, from equipment, commissioning, maintenance and servicing. We can also provide data evaluation and reporting software that enables the operator to best determine the appropriate dust suppression activities for any given environmental condition. ECOTECH has systems installed with mining companies that include BHP, Rio Tinto, Alcoa to name just a few. Fenceline monitoring allows mine operators to monitor dust and gas emissions, but more importantly it allows them to pinpoint the sources of this pollution and reduce its impact on surrounding areas. Continuous particulate monitors are essential for the real-time monitoring of dust. Linked to wind sensors, these can be built into air-conditioned, waterproof shelters, or installed as stand-alone units powered by solar panels. ECOTECH also develops and stocks an extensive range of gas monitoring equipment. This includes ambient, stack and trace gas analysers for specific gases. With numerous sensors on a site, analysis of data can be a difficult and time-consuming exercise. ECOTECH supplies software to collate data into useful, easy-to-read reports. Our primary data reporting software is Airodis. Designed for Windows 7, this feature-rich software can generate a vast range of reports and data, from simple charts to map-plotted graphs. Other software supplied by ECOTECH includes systems to acquire data from and remotely check monitoring systems, model air quality and report data. Much of our software can combine multiple sources, enabling the integration of data from different sites. Many of our systems provide remote monitoring options, which have been designed to be as easy-to-access as possible. Systems can be monitored in real-time via 3G, GPRS, satellite, radio and TCP/IP network communication. They can also be accessed online, via email, or through direct uploads to your company’s website. For some systems, full remote control and calibration is also available. ECOTECH delivers fully integrated systems that work from solar or mains power and can be accessed remotely via GSM, 3G, satellite or radio modems. ECOTECH’s integrated early warning dust systems allow the instantaneous monitoring of dust concentrations and provides for the immediate reaction to exceedences. These systems can be coupled with a number of remediation programs such as dust suppression or community announcements. We also provide a range of services to support our product line. This includes maintenance, service and repair services to help maintain products, and training to ensure your staff use the equipment to its full potential. We offer installation and commissioning services for all our products and systems. For clients requiring the use of equipment for a short period, we have a rental service, and also offer ‘pay for data’ contracts which remove the need for large outlays on equipment. ECOTECH can provide solutions to monitor blast, dust, water, and ambient air emissions in the mining and construction industry. We offer total monitoring solutions including equipment, commissioning, maintenance, servicing and data reporting. Our blast nonitoring services use our Dynamates to measure overpressure (air blast) and ground vibration from blast events. 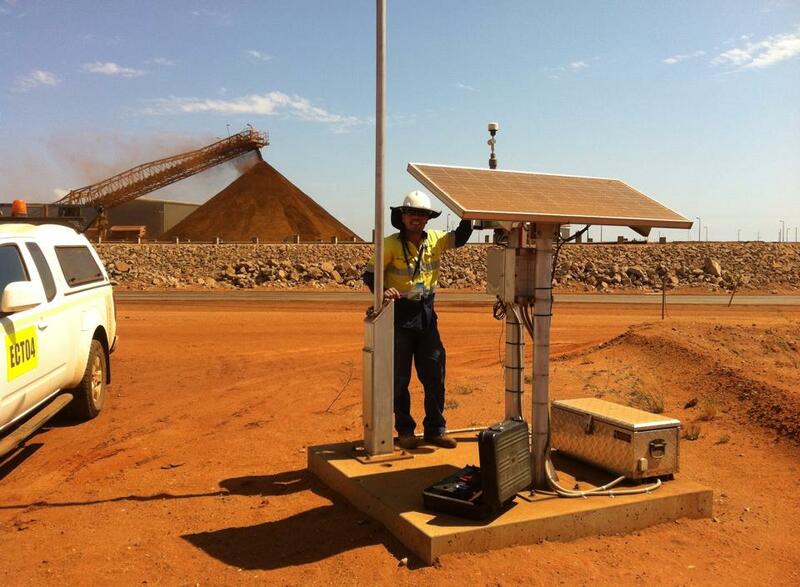 These instruments can be combined with real-time dust monitors, meteorological systems and air quality monitors to deliver complete environmental monitoring solution for the mining and construction industry. Although ECOTECH is an Australian company with a strong client-base in Australia and New Zealand, it also has extensive experience supplying to clients abroad. Our export market covers over 60 countries, including India, Mexico, Thailand, Taiwan, the US, Sri Lanka and Malaysia. We are committed to providing quality products that ideally suit our clients, and will work with you to provide equipment that complies with local regulations. If you are interested in ECOTECH’s products and services and would like to know more, please contact us using the details below. The ‘Integro™ LIDAR Network’ by ECOTECH is a tried and tested technology for the real-time measurement and monitoring of aerosols and dust particulates, giving users the ability to better manage and control their dust suppression systems. At ECOTECH, we understand the sensitive nature of the mining industry. Environmental monitoring is not only something we're experts at, but are passionate about. A recent 5.3-Richter earthquake near Mackay, Queensland left more than a few people (literally) shaken up. Just minutes later, the earthquake data was being analysed thousands of kilometres away by Ecotech’s staff in Melbourne via our blast monitoring systems. This technology can ensure the Australian mining sector is prepared for the unplanned, keeping our communities safe. ECOTECH works closely with clients to solve complex problems. In 2016, ECOTECH worked with a customer in Western Australia (WA) to develop a Portable Groundwater Profiling system 'fit-for-purpose' in the mining industry. On this occasion, “fit for purpose” took shape in the form of a utility vehicle.